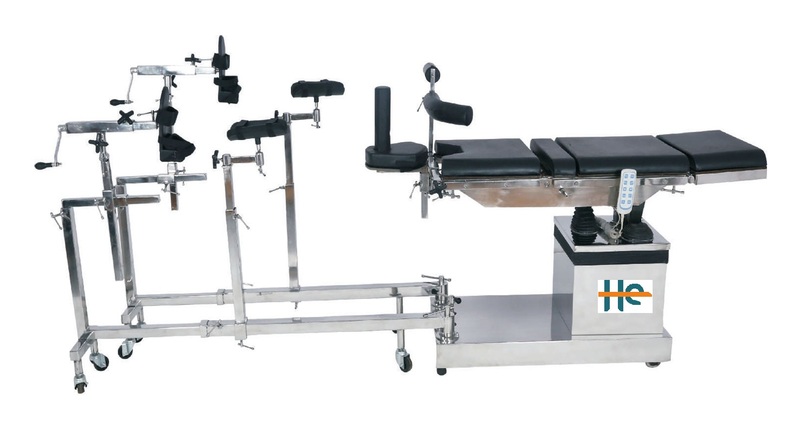 ortho Attachment Allows The Table To Be Used For The Lower Extremity Procedures. Available At Competitive Prices Our Ortho Attachment Is Purely Made Of Stainless Steel Which Resist Corrosion. the Orthopedic Attachment Bjs Ns Can Be Used With Any Operating Table. in Addition, A Pelvic Support Plate Is Supported On Top Of The Frame And Is Formed With An Asymmetrical Construction. stirring Instruments Allows Flexion/raising Of Legs & Stirring/string Ball Joints Locked From Foot End. two Traction Devices On Sliding Spot With Ball Joint Allowing Flexions & Rotations Of Foot With Traction Shoe With Metallic Sole. padded Orthopedic Knee Crutches/provides Support To The Legs Of The Patient.